Time waiting for asylum: 8 months. What does it mean to be an asylum seeker in the UK? This was the starting point of Ivin’s research, which began at a drop-in centre in Cardiff, Wales and continued all over England. It seeks to raise questions about how the UK’s migration system treats those who arrive in our country seeking safety. 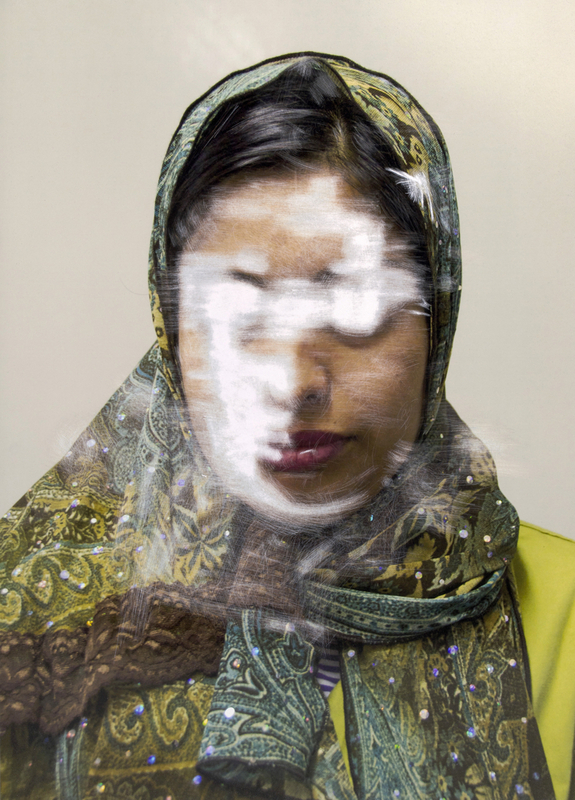 The result is a book made up of hand scratched portraits, where the eyes have been erased: once arrived in the UK, these people find themselves in a state of limbo, having to await news of their application for asylum for months or even years. They become Lingering Ghosts. These physically scratched portraits attempt to convey the the cruel loss of self, and the frustration that befalls them as they wait to learn their fate. Ivin’s work offers a contemplative take, away from the glaring lights of the media. His modified portraits simply and powerfully give a view on an issue that is often underreported: the plight of those waiting for asylum. Despite being represented without their eyes, these people do have an identity and we recognise them as fathers, mothers, sons and daughters – human beings, after all. 2015 series produced in collaboration with Italian communication research centre, Fabrica.